Regenestem, LLC (http://www.regenestem.com), a U.S.-based medical practice company that focuses on adult stem cell treatments and physician training, has announced that it will hold a conference on regenerative medicine later this year on the island of Cuba. The First Inter American Stem Cell Conference will be held October 13-15, in Havana. What better way to build cooperation between the U.S. and Cuba than for professionals in regenerative medicine to come together for some valuable information sharing. Since President Obama announced the beginning of normalization between the U.S. and Cuba, channels are now being opened and opportunities created among businesses and other organizations to access and share information across many fields. As an American company Regenestem, LLC (http://www.regenestem.com) will bring the field of regenerative medicine to the island of Cuba later this year for valuable information sharing at an international level. Regenestem, a medical practice company focused on adult stem cell therapies and physician training with particular growth in Latin America, is presenting an innovative conference in Cuba devoted to regenerative medicine, in association with the Cuban Institute of Hematology. The First Inter American Stem Cell Conference will be held October 13-15, at the Palacio de Convenciones, in Havana. As examples of Cuban breakthroughs, medical research facilities in the U.S. and Cuba struck a deal last year to allow clinical trials of Cimavax, an effective lung cancer vaccine developed in Cuba, which stops tumors from growing. In addition, Heberprot-P was developed in 2006 by a Cuban research center to prevent the limbs of diabetic patients from being amputated. Diabetic wound specialists say Heberprot-P may be the best chance to save the lives and limbs of tens of thousands of Americans. The three-day conference will explore whether stem cell therapies are ready to become a standard form of treatment. In addition, the event will address specific issues involving the process of replacing, engineering or regenerating human cells, tissues or organs to restore or establish normal function. The roster of speakers includes 22 of the most prominent physicians in the field of regenerative medicine. The program also provides a series of hands-on training workshops focusing on some of the stem cell therapies. De Cubas said the inspiration for this conference came from his late father. Dr. Luis A. De Cubas practiced medicine in the U.S. from 1966 to 2005 after fleeing from Cuba in March of 1966. De Cubas was a renowned pediatrician in both Minneapolis and Miami. For more information on the conference or to register, call (305) 224-1858. Registration and travel arrangements must be made by July 1. 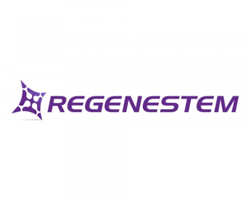 Regenestem (http://www.regenestem.com) is an international medical practice company focused on providing comprehensive solutions involving adult stem cell treatments and research. The firm has assembled a talented staff of medical specialists - professionals trained in the latest cutting-edge procedures and protocols in cellular medicine. Regenestem is certified for the medical tourism market - and staff physicians are board-certified or board-eligible, providing services in more than 10 specialties. Regenestem investigates, shares, utilizes and integrates the latest protocols in the adult stem cell arena to deliver the best medical solutions to its patients. The brand also includes a membership association of regenerative medicine clinics, a training and education division, and an online store.